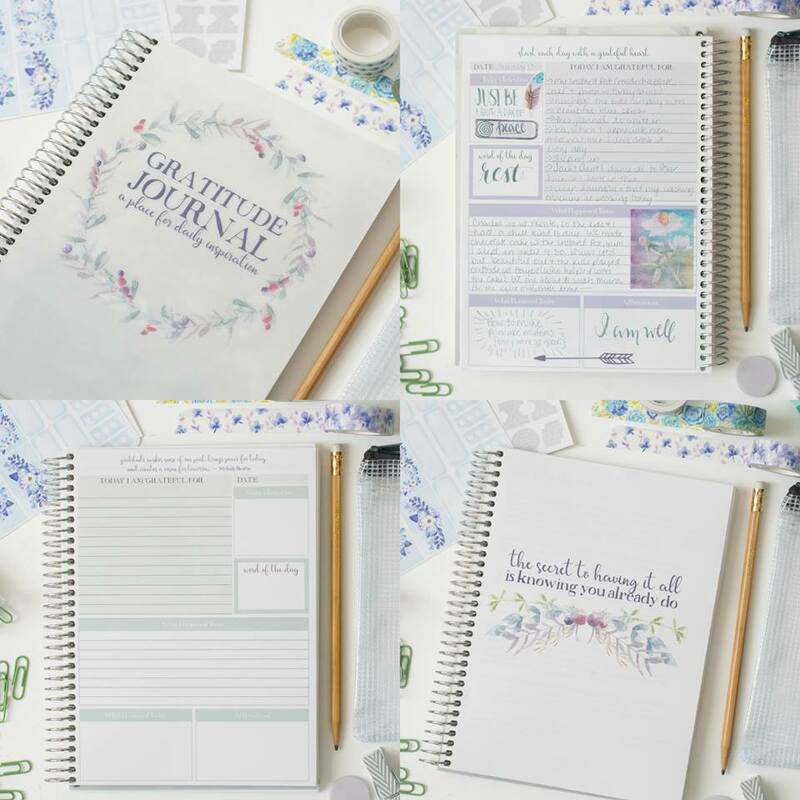 Our Inspiring Gratitude Journal is Here! For over a decade I’ve been on the path of self-discovery and healing. First, it was learning to release past shame and guilt to eventually be able to finally get pregnant. Now it’s trying to heal my body from an autoimmune condition and reverse early menopause and all of its horrible symptoms. I’ve lost my way time and time again, but the one thing that keeps me sane is my gratitude journal. 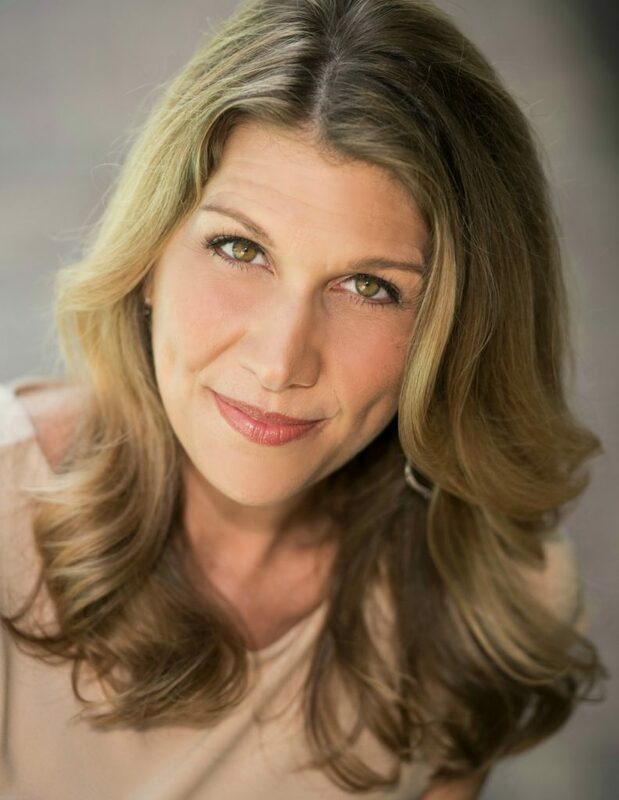 I first found gratitude when we were going through our seven-year battle with infertility. It was so hard to stay positive with so many shots, blood tests, ultrasounds, and multiple negative pregnancy tests. But keeping a gratitude journal grounded me and helped me find the good in every day and every situation. No matter how dire or bleak things looked. Originally I just wrote in a plain old journal. 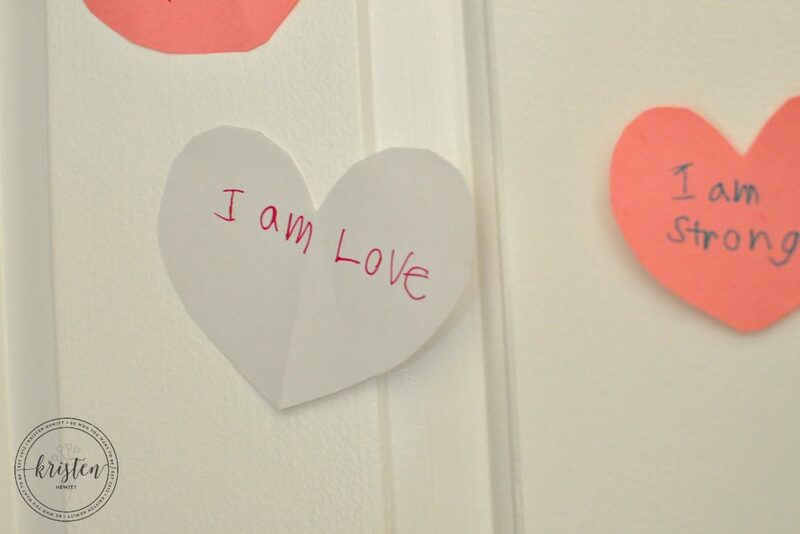 I would chronical the day, what I was grateful for, and what my affirmations were for the following day. I did this nightly, and in the days before Blackberry’s and blogs, it helped me record what was happening in our quest for a baby. It was always a source of comfort, being able to write out my feelings and stay positive and thankful for all the good in our lives. I’ve lost or forgotten about gratitude through the years since becoming a mom, but this past year I found my gratitude goggles again. Life is so much clearer and happier when you live life through the lens of gratitude. Over the years I’ve purchased numerous gratitude journals online or in book stories, but none of them had enough space and enabled me to write what I really needed to. I like to set an intention, write about my day, what I’m grateful for, and affirmations to send out into the universe of what I’m in need of. So after many years, I decided to make my own with my friend Carrie Elle. 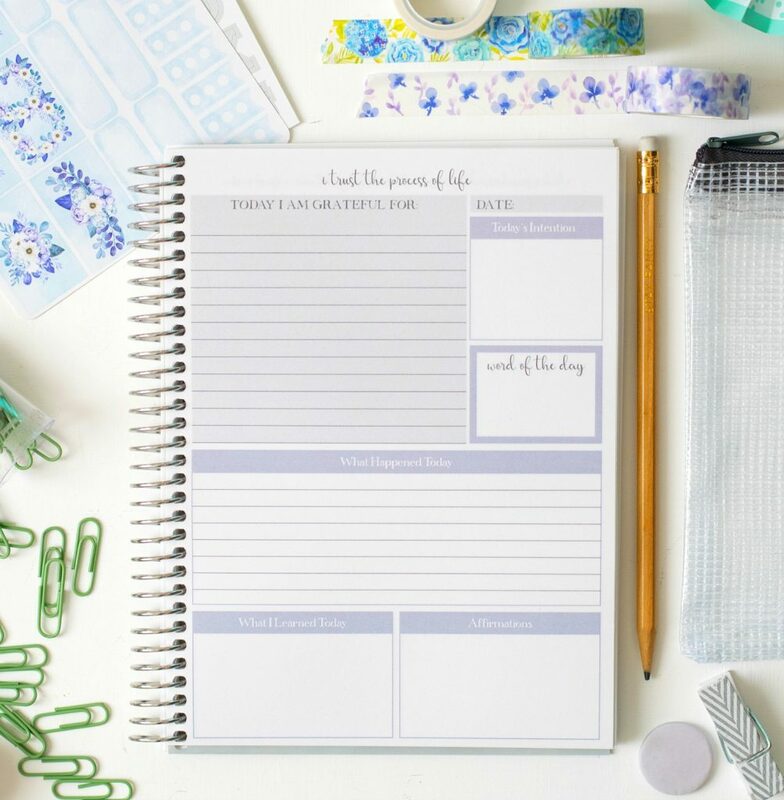 Carrie is already a printables diva, and makes gorgeous Day Planners, Meal Planners, and other amazing products, so it was the perfect partnership. 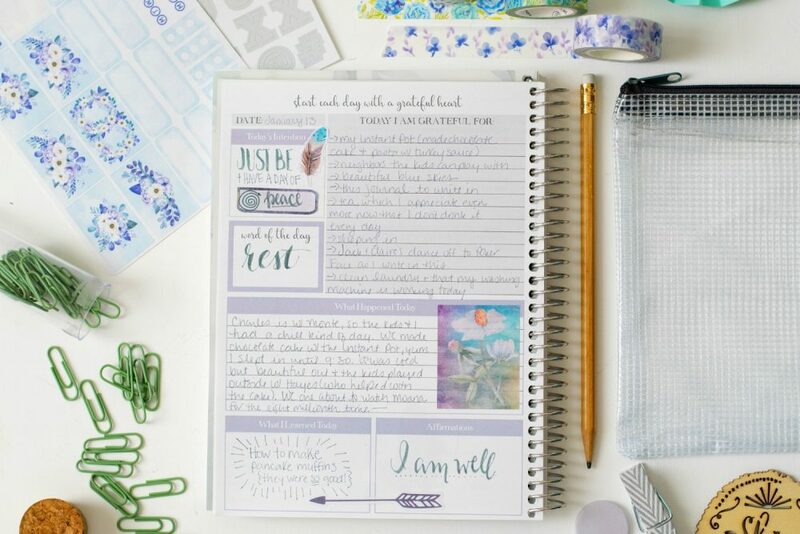 And the result is a tranquil, beautiful, inspiring gratitude journal to write out everything in our hearts. You can purchase the gratitude journal here! 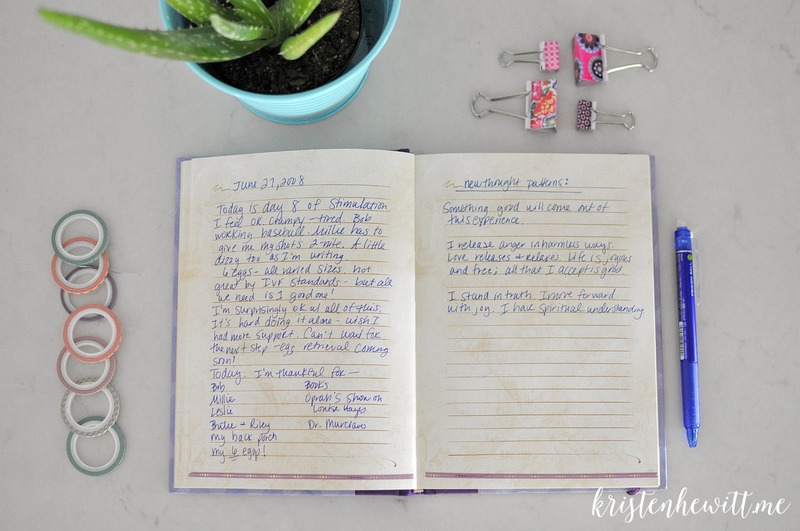 We decided to pattern the journal after my own – and even added in a few features. There are 150 pages for you to write and we chose three tranquil colors; periwinkle, sage green, and gray. 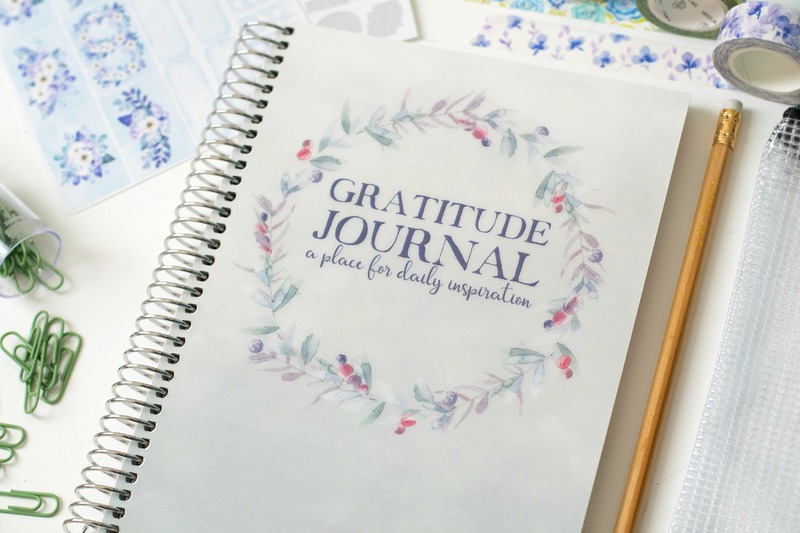 We have either a gratitude quote or affirmation on each page, and spots for you to write what you’re grateful for, what happened that day, and your daily affirmations and intention. And I love the beautiful cover page! I’ve asked Carrie if I can frame it for my office! And here’s what it looks like when you open it up! I couldn’t be more thrilled with the finished product, and my partnership with Carrie Elle. We hope that this journal also helps to awaken a sense of positivity, hope, calm and gratefulness in everyone that it finds. 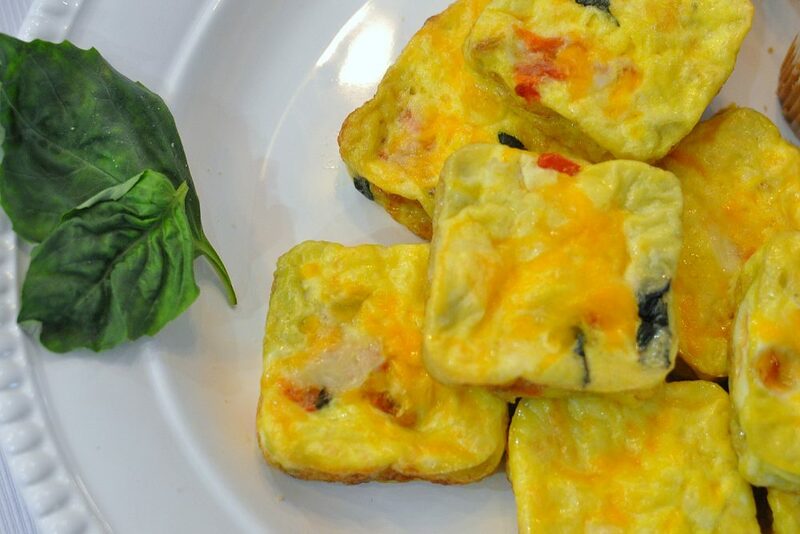 And we hope that you love it as much as we do! 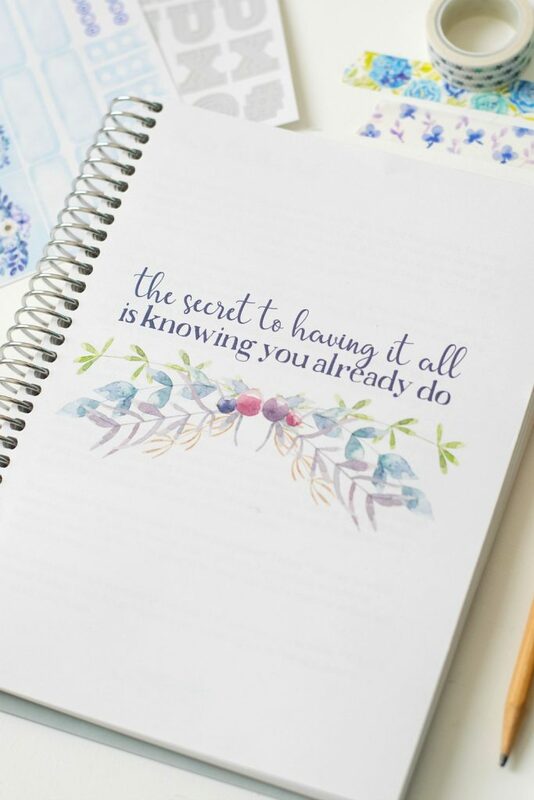 You can purchase your own gratitude journal here. Want to learn more about how and why to use a gratitude journal? 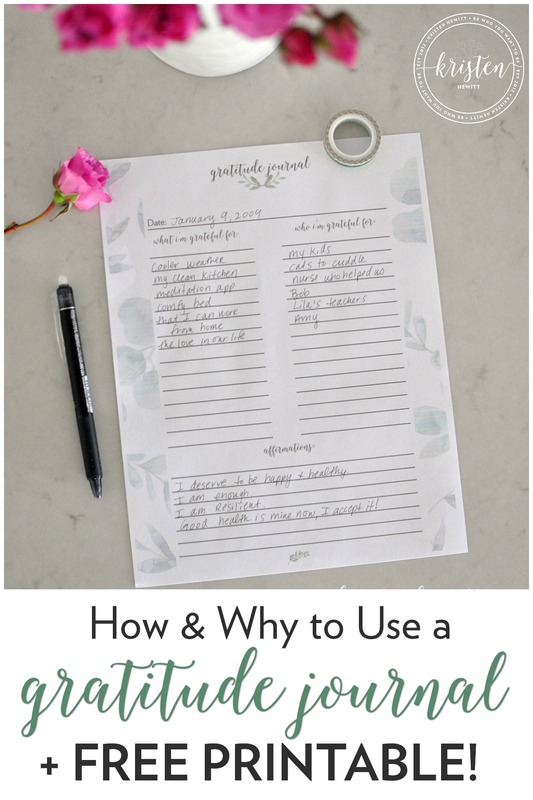 Read this and grab my free printable!